There are plenty of genealogy sites online that can help you to track down your ancestors records. This World Vital Records Review will check out what this site is about, whether it performs and basically whether it is for you or not. In my opinion it is one to consider. So, if you want to learn more about this site then please read on. Before you do continue reading this review you may just want to think about exactly what you do want from a genealogy search website. And also what your experience is thus far with such a site, (if any). Having some thought about what you expect will make it easier for you to decide if this site will work for you. Do I Recommend World Vital Records? First founded in 2006 this genealogy search website makes it simple, easy and affordable for anyone wants to trace their family history. Having been online for over ten years now their databases contain a staggering 4.2 billion names, which cover a whopping 6 billion records. However, their primary market is the United States, United Kingdom, Canada and Australia. World Vital Records not only upload records to their site but they are also responsible for digitizing them as well. In fact, they upload tens of millions of records each and every month. In November 2011 the site was purchased by MyHeritage, (another big player in the world of genealogy), and has now become a MyHeritage company. Despite being owned by another company this site still remains online and continues to help many, many people to research their family history. Uncovering records is just one step that you can take as you discover your ancestors. Taking a DNA test though will move you much further along on your family history journey. Your DNA results can help you discover where your ancestors originated from and your DNA can also connect you with distant cousins. World Vital Records do not offer their own DNA testing kit. But do not despair as they have partnered with MyHeritage DNA so that they can offer this tool to its customers. 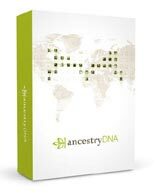 In my opinion MyHeritage DNA is one of the best kits that you can buy. With so many records contained within their database this genealogy search website certainly does sound appealing to anyone wants to know more about their ancestors. After all with 6 billion records, mostly covering the U.S. and U.K. you are bound to find something to help you with your research. OK, well let’s look at what this site has to offer and see what public records that you can find within their vaults. More than 8,000 high school, college and military yearbooks. It is great that this site not only includes vital records such as documents pertaining to birth, marriage and death but also census records as well. Anyone who has already begun their family history journey will very well know the importance of all of these documents for their research. Personally I have built up an impressive family tree due to the aid of the names and facts that I have found within these records. You can learn so much more besides. When checking records try to read between the lines. Ask yourself questions, such as why your ancestors children were not born in the same country. Maybe they had to move in order to find work. You can also use these records to backtrack and climb your family tree further in time. What I like though is that there are other kinds of records held within their collections as well, (besides vital and census records). So you can check out your military ancestors, discover where they lived and where they were buried. And besides that learn about their high school and college years as well, (that’s of course if they are recorded). Living outside the U.S., U.K., Canada or Australia? If you and your ancestors are from outside these countries then these records will not be for you. I would advise you to check out Ancestry instead. They are the biggest game player and so have the world’s largest collection of records. So, you are bound to find your ancestors with this genealogy site. You will though need to be a paid subscriber to this site in order to access their records. If spending money to discover your ancestors is not appealing then FamilySearch is worth checking out. They are the free alternative for Ancestry and have millions of records that you can access without needing to spend a dime, or penny. Starting your own family tree online! Well, I don’t want to disappoint you but you can’t actually create and build a family tree online with this site. Many of the other genealogy sites do offer this feature so it is a bit disappointing that you can’t here. They do offer a Family Tree Builder CD when you sign up to the site for the Yearly package. But this is only offered as a promotion. So it is not available all the time. The lack of an online family tree builder also means that you cannot easily share research anyone else on the site. Searching for your ancestors on this site is a simple process. Remember though that the more information that you enter then the more likely that you will get the results that you are looking for. Unfortunately actually finding your ancestors records may not be so straight forward. Yes the process is simple but you may not actually get the results that you are after. A suggestion raised by No1Reviews.com is to include video tutorials to explain how to use the tools and features on the site. And I agree it’s a really good suggestion. Then click on ‘Begin Search‘ and sift those results for records about your ancestors. Membership and Free Trial Explained! Any service these days that you will find online will usually offer a free trial. It’s a way for you to get an idea of how their site and its features work, and to get comfortable with it too. The free trial also gives you an opportunity to access the entire records that are held on the site. This is great as there is no holding back with what you can find while not spending any money at all. The downside is that they only offer a 7-day free trial. Most of the genealogy search sites that I have reviewed thus far offer twice as long, 14 days. So that is a bit of a disappointment. I would advise that if you are interested in checking this site out then you should make sure that you have a week that is free from distractions and interruptions. That way you can get the most from the trial and really see whether it is right for you. As with similar sites you will need to fill in your personal information and credit card details, even for a trial. This is because once the trial is offer then you will automatically be charged for the following month’s period. Yeah it may seem a sneaky practice. But it is up to you to cancel the trial before your card does get debited. World Vital Records has received complaints from people who have not been able to cancel the trial period and have been subsequently charged. This I have also read about for another site, Archives. So if you do go ahead with this site then you have been warned. It may not happen to you but just in case. 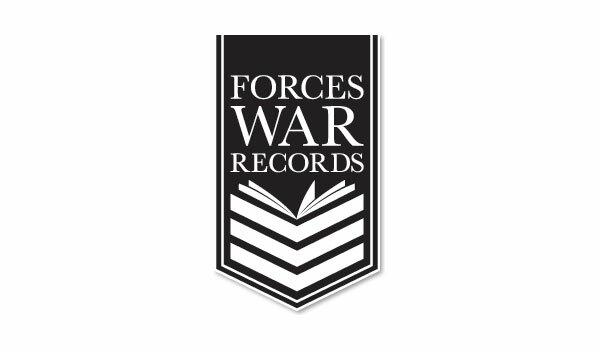 There are two types of membership offered by World Vital Records, both though will offer full access to the billions of records that they possess. The only difference is the period in which you are covered. You can see that if you opt for yearly then you are saving more the 50%. That’s a significant saving. I would though suggest that you may want to go monthly for a while before you go full on and go yearly. There is a third package that is available, pending whether the promotion is running or not. 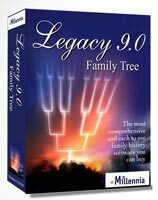 The alternative is the Yearly together with the Family Tree Builder CD, which both together is still at the same price. Speaking from experience software is an essential tool for any family historian as it can help you build your family tree and hold countless amounts of information about your ancestors. I have already brought up a suggestion from a review on No1Reviews.com that there should be video tutorials added to the site. And I fully agree. Genealogy can be difficult at times so more support is always appreciated. There were further suggestions and comments stated from this particular review site. Site wasn’t particularly easy to use, (I personally found the site usable). Another useful review I found came from ReviewOpedia. Their main opinion of the tools and features offered by the site are mainly middle of the road. That really means that the site serves its purpose. It will help you to locate your ancestors records, (albeit some difficulty). But there are no added bells and whistles that really make this site stand out from the others. The lackluster filter of search results were also brought up for this site. Which I can say is worth noting. This review also mentions that there were billing concerns, (mostly canceling). In my opinion there aren’t nearly enough of these to warrant too much concern. There is a lot going for this genealogy search website, which is a good thing as it can definitely help you to trace your family’s roots. With more than 6 billion records for you to search through there is a real chance that you will find your ancestors. That is of course if they come from the U.S., U.K., Canada or Australia. Other countries are featured on the site but the bulk of the collection are found within these countries. The search function is not as impressive as ones found on other sites. So that is a let down for sure. And the lack of an online family tree builder is a worry for me. I feel that having such a feature on a site like this should be standard. It just makes it easy for you to plug in the information that you have found. Still, it does serve its purpose. You enter information into the search boxes, hit the ‘Begin Search‘ button and check through what records come up. It’s then though up to you to enter what you find in your own genealogy software program. So that can slow the research process down. At the end of the day though it is a good enough site to get you into the genealogy world and discover your roots. Do, I recommend World Vital Records? Yes, I do recommend World Vital Records. Searching can prove cumbersome at times but still you may find valuable information for your genealogy research. Billions of Records Available To You! Start searching for your ancestors! I hope you enjoyed this post giving my World Vital Records review. If you have any questions or comments then please leave a comment below. The Best Genealogy Sites For Your Family History Research! Man as you remember I live in Asia, do you think that should I even bother using it? Or should I look for another alternative? Nice to hear from you. World Vital Records does cover some Asian countries so it’s worth going to the site and checking. Just click on the World tab and see if your country is listed. You may want to try Ancestry as they do have Asian countries within their databases of genealogical records.